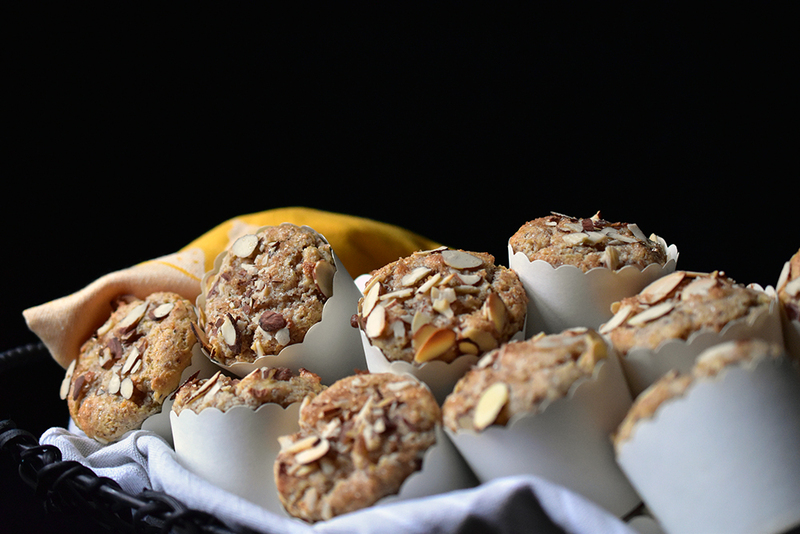 These muffins are sweet and crumbly, and are packed with a great lemon and almond flavor. Ari originally conjured these while trying to decide how to use up some leftover ricotta cheese that was in the fridge. Occasionally, we try to make some gluten free items, and we always have almond meal on hand in the freezer (we love almonds!). 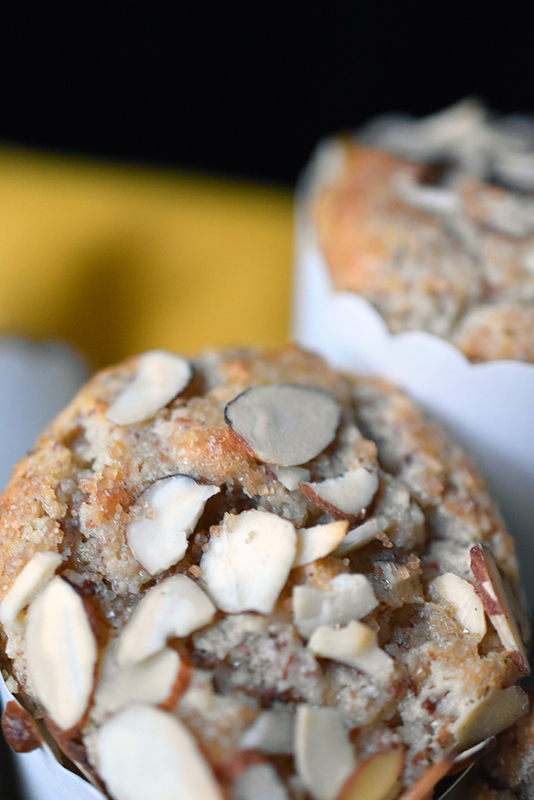 So, we decided to make these gluten free muffins entirely with ingredients on hand in our kitchens. We decided to use corn starch in this recipe to help hold everything together. When you are baking gluten-free, your “flour” options now-a-days are ever-growing. Whether it is xanthan gum, rice flour, oat flour… No one in our family is celiac, so we have a hard time validating the cost of many of these substitutions, and we like to think that other people are in our shoes as well – occasionally wanting to cook gluten free for yourself, or for someone you know who is sensitive or allergic to gluten. It is our goal to provide simple easy recipes with options that can be whipped up with items that are easily found or on hand. This is why we often choose to use items like nut meals and corn starch, both items you may already have, or at the very least, items that won’t leave you searching through multiple grocery stores and/or specialty stores. 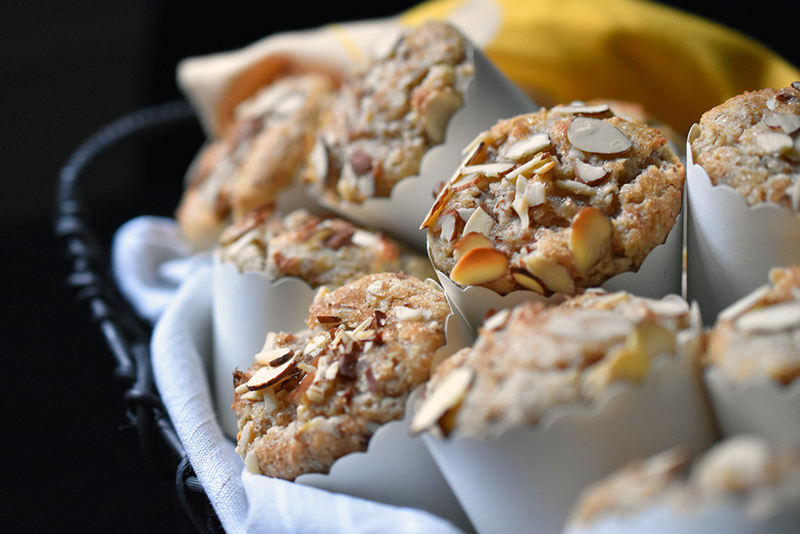 The light delicate flavor of these muffins will have you swooning for more. Which is probably a good thing, because they are best when consumed fresh! Preheat oven to 375° F. Line 12 muffin tins with liners, set aside. Mix the almond meal, corn starch, baking powder, baking soda, and salt in a large bowl. Set aside. In a separate bowl, whisk together the ricotta, egg, egg yolk, sugar, lemon zest, lemon juice, and extracts. Pour the wet ingredients into the dry ingredients and mix until everything is well incorporated. 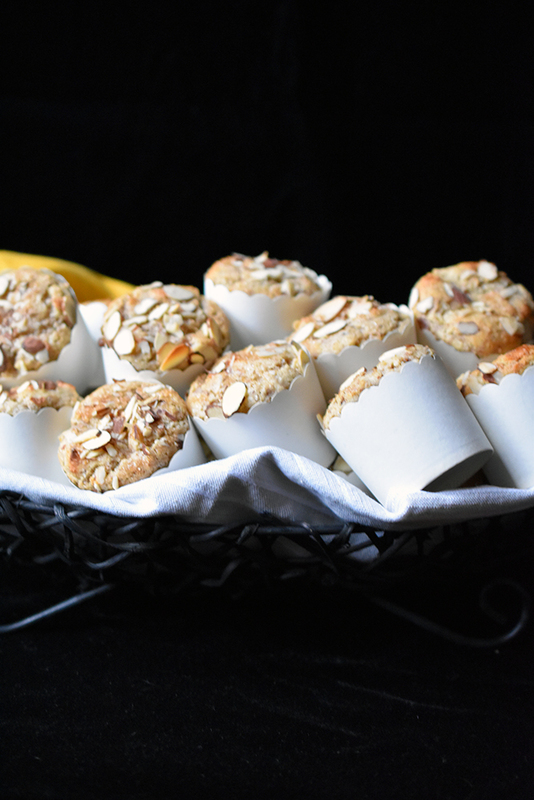 Fill each muffin cup ¾ of the way and top each with sliced almonds and turbinado sugar. Bake for 16-18 minutes, or until toothpick inserted into the muffins come out clean and they are golden brown. We use Trader Joe's brand of Almond Meal, which is NOT blanched or finely ground almond meal. We have tried this recipe, once, with a blanched/fine ground meal and got comparable results. These muffins are best served the same day, but will store nicely in an airtight container for 3 days.